May 31 – Columbia’s Got Talent at the Comedy House. If you’ve got a talent you want to share, or your child does, or your parent, come on out and see if you have what it takes to take home the winning prize! For more information call (803) 798-9898 or visit https://comedyhouse.us/comedy-calendar/. June 1 – “The Emoji Movie” at Finlay Park. What better way to end the week than to enjoy a movie in the park with the entire family! For more information call (803) 545-3100 or visit https://www.columbiasc.gov/calendar/3104. June 1 – “The Darkest Hour” at the Icehouse Amphitheater. Bring the kids out for a fun night out with a movie and popcorn! For more information call (803) 358-7275 or visit http://icehouseamphitheater.com/events/. June 1 – Historic USC Horseshoe Walking Tour at the South Carolinian Library. 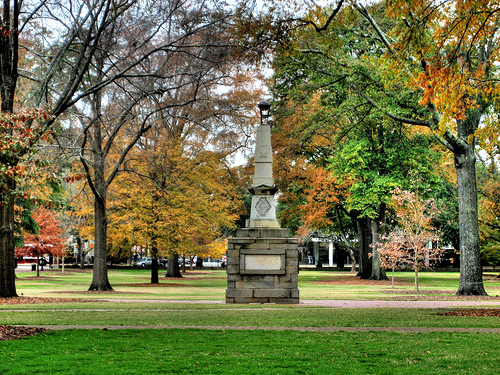 Take a tour around the Horseshoe and learn about the history that surrounds it! For more information call (803) 777-5158 or visit https://www.experiencecolumbiasc.com/event/historic-usc-horseshoe-walking-tour/53413/. June 1 – 2 – Peach Tree 23 Yard Sale along several county roads running from Batesburg-Leesville to Modoc along Hwy. 23. For the 12th straight year, this yard sale is known as the longest yard sale in the State so don’t miss this chance to visit 7 of our greatest little towns, while searching for those special items on your list! 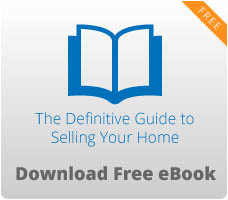 For more information visit http://www.peachtree23.com/. June 1 – 2 – DOKO Rodeo at the Community Park Arena in Blythewood. You’ll get to enjoy bronco riders, bull riding, barrel racing, steer roping, pony rides for the kids, a mechanical bull, and so much more to include the national celebrity funny man, Matt Merritt! For more information visit https://blythewoodrodeo.com/. June 1 – 3 – “Guy Torry” at the Comedy House. You are guaranteed to enjoy this hilarious comedian who has been in movies such as Funny Money, Dead and Deader, and The Last Stand, so don’t miss this chance to see him live! For more information call (803) 798-9898 or visit https://comedyhouse.us/guy-torry/. June 1 – 9 – “HIR” at the Trustus Theatre. Isaac has returned from the wars to help care for his ailing father, but life at home isn’t what it was when he left and he struggles to deal with his mother’s crusade against patriarchy and his brothers’ new transgender identity. For more information call (803) 254-9732 or visit http://trustus.org/event/hir/. June 1 – 30 – “Space For Murder or That Time With the Aliens” at Plates and Plots Dinner Theater in Lexington. Enjoy a fabulous dinner while you try to solve the mystery of Amy Lake’s deceased relative! For more information call (864) 832-7568 or visit http://www.onecolumbiasc.com/event/space-for-murder-or-that-time-with-the-aliens/. June 2 – National Trails Day Hike at Sesquicentennial State Park. Enjoy a guided hike along the 2 mile sandhills trail while enjoying the sights and sounds of the park! For more information call (803) 788-2706 or visit https://southcarolinaparks.com/products/10003953. June 2 – Saturday Stroll: Heathwood at 800 Abelia Road in Columbia. This neighborhood was established in 1914 by Moses Chappell Heath and his son-in-law Burwell Deas Manning, Sr. around 1940 so come take a tour of this historical neighborhood. For more information call (803) 252-1770 ext. 23 or visit https://www.historiccolumbia.org/events/2018/2018-06/saturday-stroll-heathwood. June 2 – Sweetgrass Basket Weaving at the Columbia Art Center. Here is a chance to learn this 300 year old African American art form! For more information call (803) 545-3093 or visit https://www.columbiasc.net/depts/parks-recreation/June%202018%20Workshops.pdf. June 2 – Jazzercise for Meals on Wheels at Seven Oaks Park. Come out and enjoy some great fun exercising while helping raise money for a great cause! For more information call (803) 772-3336 or visit https://www.icrc.net/event/jazzercise-meals-wheels. June 2 – EcoFab Fashion Show at the Skyline Room of the Tapp’s Art Center. Come see what creations the selected artists came up with for this fun event! For more information call (803) 988-0013 or visit https://www.tappsartscenter.com/event/ecofab-fashion-show-2018/. June 2 – StoryfestSC at the South Carolina State Museum. This wonderful festival helps introduce kids to the wonderful adventures of reading and storytelling, with storytelling for all ages, crafts, presentations and book signings, and more! For more information call (803) 734-8666 or visit http://www.statelibrary.sc.gov/storyfestsc. June 2 – Drift Jam Flotilla Music Festival at Spence Island on Lake Murray. Here is a chance to enjoy a day on Lake Murray filled with fun and live entertainment with bands to include Drivin’ & Cryin’, Villa Nova, and Almost Kings just to name a few. For more information send an email to dgpromotes@gmail.com or visit http://www.driftjam.com/. June 2 – “A Tribute to Luther Vandross by Danny Clay” at the Koger Center for the Arts. This tour in honor of this historic icon is to help raise awareness of mental illness. For more information call (803) 777-7500 or visit http://www.kogercenterforthearts.com/event.php?id=547. June 2 – July 28 – Summer Concert Series at Finlay Park. Fill your summer Saturday nights enjoying music, food, beverages, and fun in this beautiful park in downtown Columbia starting with the band Atlantic Star an R&B band on the 2nd. For more information visit https://festivalnet.com/11548/Columbia-South-Carolina/Festival-Concerts/Columbia-Summer-Concert-Series. June 3 – The Market Spring Festival at The Market Tea Room and Country Store at the South Carolina State Farmers Market. This fun festival will include live music, kids activities, and educational experiences with a variety of food truck vendors on hand to enjoy good food or enjoy eating at the Market Restaurant, as well as shop with a variety of local vendors. For more information visit http://www.lexingtonsc.org/community-event/the-market-spring-festival. June 4 – Broadway Bound Music Showcase at the Harbison Theatre. The students of Broadway Bound will present for you an evening of vocals and dance to showcase their talent so come out and support their hard work! For more information call (803) 407-5011 or visit https://www.harbisontheatre.org/tickets-productions/broadway-bound-2018-showcase. June 4- “My Neighbor Totoro” at the Nickelodeon Theater. Children will surely enjoy this fun tale about four year old Mei who discovers the nest of King Totoro, a giant forest spirit that resembles a giant rabbit. For more information call (803) 254-8234 or visit http://nickelodeon.org/films/my-neighbor-totoro/. June 5 – “Blueprint” with guests “Symple”, “H3RO”, “Cole Connor”, “Jay Ones”, “Ghost Unknown” & “Jones McShine” at the Infinite Room of the Tapp’s Art Center. This headliner, known as an underground legend, will present his new album ‘Two Headed Monster’, in his unique stage show! For more information call (803) 988-0013 or visit https://www.tappsartscenter.com/event/infinite-room-presents-blueprint-sympl-h3rocole-connor/. June 7 – Worlds of Creativity: India at the Columbia Art Center. Learn about the Indian culture through dance, music, food, and more with special featuring being Bollywood dancing! For more information call (803) 545-3093 or visit https://www.columbiasc.gov/calendar/3132. June 7 – Reception for “BA AKHU: A New Vision” at the Tapp’s Art Center. This reception in honor of the works by Baba Seitu Amenwahsu whose show has been extended due to its popularity, with also include African drumming by Spiritual Gumbo. For more information call (803) 988-0013 or visit https://www.tappsartscenter.com/event/first-thursday-reception-for-ba-akhu-a-new-vision-works-by-baba-seitu-amenwahsu-extended-through-june-29/. June 7 – “Seconds” at the Nickelodeon Theater. Directed by John Frankenheimer, you’ll get a “visually stunning critique of Cold War militarization, suburban conformity, and consumerism” from Frankenheimer’s perspective. For more information call (803) 254-8234 or visit http://nickelodeon.org/films/seconds/. June 8 – Arts and Draughts at the Columbia Museum of Art. Enjoy an evening of beer tasting, live music, D.I.Y. art projects, fun activities, food vendors, and more! For more information call (803) 799-2810 or visit https://www.columbiamuseum.org/arts-draughts-june-2018. June 8 – “Sister Hazel” at the Icehouse Amphitheater. This will be an evening of great music by this amazing 90’s band! For more information call (803) 358-7275 or visit http://icehouseamphitheater.com/events/. June 8 – “Jasper Variety Show – Episode II” in the Skyline Room of the Tapp’s Art Center. This show will include host Preach Dherick Jacobs with guests Pedro Ldv who will talk about the Indie Grits Labs and the Two Cities Philosophies; Monifa Lemons from The Watering Hole Poetry; and Jay Matheson from The Jam Room Recording Studio who will talk about how they will be celebrating 30 years of The Jam Room, as well as playing “Name That Tune” for prizes for the audience. For more information call (803) 988-0013 or visit https://www.tappsartscenter.com/event/jasper-variety-show-episode-ii/. June 8 – “Face Off” at the Nickelodeon Theater. This is an intense story about a “single-minded FBI agent who assumes the identity of a psychotic terrorist via an experimental face transplant.” For more information call (803) 254-8234 or visit http://nickelodeon.org/films/face-off/. June 8 – 10 – Southern Guitar Festival and Competition at the Main Branch of the Richland County Public Library. You’ll get to experience concerts, workshops, lectures, and of course, competitions! For more information visit http://southernguitarfest.com/. June 8 – 10 – “Guy Epps” at the Comedy House. Here is yet another great comedian that was in movies to include Jumping the Broom and Nina ensuring a fun evening of comedy and entertainment. For more information call (803) 798-9898 or visit https://comedyhouse.us/mike-epps/. June 9 – Shrimp and Grits Festival at the Columbia Conference Center. Come out and sample a variety of local chef’s versions of this famous southern dish and vote for your favorite! For more information visit https://columbiashrimpandgrits.com/. June 9 – Pirate and Mermaid Party at Riverbanks Zoo and Gardens. Bring the kids out for an evening of fun at the zoo with time in the splash zone, a treasure hunt, and boat races down the Waterfall Junction stream. For more information call (803) 602-0803 or visit https://www.riverbanks.org/education/family-programs. June 9 – “An Evening With Smokey Robinson” at the Township Auditorium. This singer, songwriter, producer and co-founder of Motown Records is formerly of The Miracles who, in 1960, recorded Motown’s first million selling hit “Shop Around”, and who is sure to take you on a ride down memory lane! For more information call (803) 576-2350 or visit http://www.thetownship.org/events/. June 9 – 10 – Gun and Knife Show at the South Carolina State Fairgrounds. If you are a collector or just like to see what’s available, come out and see what’s available. For more information visit https://www.scstatefair.org/events. June 9 – 17 – “The Commedia Emperor’s New Clothes” at the Columbia Children’s Theatre. Based on the story by Hans Christian Anderson this fun tale about two weavers who convince the Emperor that the clothes they make are invisible to all who see him leave him walking around looking silly to all who see him, but who fear confronting him about the truth. For more information call (803) 691-4548 or visit http://www.columbiachildrenstheatre.com/season-at-a-glance/. June 10 – “Latin Caravan” at the Columbia Museum of Art. Identified as “the newest and hottest Latin band in South Carolina” you certainly won’t want to miss a chance to see these talented musicians! For more information call (803) 799-2810 or visit https://www.columbiamuseum.org/events/baker-baker-presents-latin-caravan. June 11 – “Space Coke”, “20 Watt Tombstone”, and “Pine Tar Rage” in the Fountain Room of the Tapp’s Art Center. Enjoy an evening of amazing music by these three talented rock groups! For more information call (803) 988-0013 or visit https://www.tappsartscenter.com/event/space-coke-20-watt-tombstone-pine-tar-rage/. June 11 – “The Princess Bride” at the Nickelodeon Theater. This wonderful fairytale is about a stable boy who is in love with a princess, but is abducted and reportedly killed by pirates, while the princess is betrothed to an evil prince. For more information call (803) 254-8234 or visit http://nickelodeon.org/films/the-princess-bride/. June 11 – 28 – Summer Camps for Kids at City Roots. These fun half-day camps will introduce kids ages 8 to 12 the art of collecting home grown foods to how to prepare and even preserve them. For more information call (803) 254-2302 or visit http://www.cityroots.org/summer-camps/. June 11 – August 3 – Summer Camps at Town Theatre. If your kids are interested in theatre and performing, these camps cover a variety of topics for kids ages 5 and up. For more information call (803) 799-2510 or visit http://towntheatre.com/summer-camp-2018/. June 11 – August 10 – Summer Camps at EdVenture Children’s Museum. Kids ages 4 to 12 can participate in a variety of activities to keep them busy this summer. For more information call (803) 799-3100 or visit http://www.edventure.org/programs/camps/. June 11 – August 17 – Zoo Summer Camps at the Riverbanks Zoo and Gardens. Kids ages 3 to 13 can enjoy fun summer camps at the zoo with a variety of camps to choose from. For more information call (803) 602-0803 or visit https://www.riverbanks.org/education/day-camps. June 12 – Songversation Presents: Singer/Songwriter “John Scollon” in the Skyline Room of Tapp’s Art Center. One of Columbia’s favorite local musicians and also co-founder and executive director of the Columbia Marionette Theatre, this will certainly be an entertaining evening of not only music, but story telling. For more information call (803) 988-0013 or visit http://www.tappsartscenter.com/event/songversation-presents-john-scollon/. June 12 – “Velvet Goldmine” at the Nickelodeon Theater. This drama film set in Britain set in the glam rock days of the early 1970’s tells the story of a fictitious pop star. For more information call (803) 254-8234 or visit http://nickelodeon.org/films/velvet-goldmine/. June 14 – 23 – “Arden of Faversham” at the Lab Theater on Wheat Street. This dark comedy and rarely staged Elizabethan-era play with an “anonymous” writer, tells the true of the plot to kill greedy landowner Thomas Arden by his wife and her lover who set into motion several “increasingly complicated (and hilarious) assassination attempts. For more information visit https://www.onecolumbiasc.com/event/arden-of-faversham/. June 15 – “Peter Rabbit” at Finlay Park. Take the kids out for a fun evening at the park with a movie while you unwind from your work week! For more information call (803) 545-3100 or visit https://www.columbiasc.gov/calendar/3106. June 15 – “Super 8” at the Icehouse Amphitheater. Bring the family out for a fun night enjoying a movie under the stars! For more information call (803) 358-7275 or visit http://icehouseamphitheater.com/events/. June 15 – Future Fest III in The Space Hall of the Tapp’s Art Center. Presented by the Tri City Rec, enjoy an evening of exciting music by artists to include Pluto Castle, Jaguardini, & Ships In The Night just to name a few. For more information call (803) 988-0013 or visit https://www.tappsartscenter.com/event/future-fest-iii-the-space-hall-presented-by-tri-city-rec/. June 15 – “Travis Tritt” at the Township Auditorium. You are sure to enjoy an evening of great country music with this country music star! For more information call (803) 576-2350 or visit http://www.thetownship.org/events/. June 15 – 16 – “Who Could Ask For Anything More” at On Stage Production Center. This music revue concert will highlight music from the early 1900’s through the 1950’s so grab your parents, your grandparents, and even the kids for an evening of great historical hits! For more information call (803) 351-6751 or visit http://www.onstagesc.com/Shows.html. June 15 – 16 – “Heathcliff” at Trustus Theatre. Enjoy an evening of music, tap dancing, jokes, and fun at this evening of entertainment presenting Jonathan Monk as Heathcliff the Clown. For more information call (803) 254-9732 ext. 1 or visit http://trustus.org/event/healthcliff/. June 16 – “Second Nature” at Finlay Park. Spend an evening enjoying beach music under the stars in this beautiful downtown park! For more information call (803) 545-3100 or visit https://www.columbiasc.gov/parks-recreation/programs-activities/special-events. June 16 – Paleopalooza Natural History Day at the South Carolina State Museum. This day will be filled with natural history with lots of hands on activities, birds-of-prey, snakes, and even a chance to hear from our famous local naturalist, Rudy Mancke. For more information call (803) 898-4921 or visit http://scmuseum.org/calendar/paleopalooza/. June 16 – Pickle Ball Tournament at Crooked Creek Park in Chapin. If you’ve never seen pickle ball played, this might be the time to come see what the fun is all about . . . or sign up to play yourself! For more information call (803) 345-6181 or visit https://www.icrc.net/event/pickleball-tournament. June 16 – “J. Anthony Brown: Just Me Comedy Tour” at the Township Auditorium. Enjoy an evening of comedy with this talented comedian but beware of his language. For more information call (803) 576-2350 or visit http://www.thetownship.org/events/. June 17 – 24 – Southeastern Piano Festival at a variety of locations on the University of South Carolina campus. If you are a pianist, be sure to sign up for the competition which will include workshops and lectures, or just come out and enjoy some of the concerts! For more information visit http://sepf.music.sc.edu/. June 18 – “The Sandlot” at the Nickelodeon Theater. There is a new kid in town who is destined to a long lonely summer who is shown the ropes by a local kid which leads him to a summer of fun and adventure! For more information call (803) 254-8234 or visit http://nickelodeon.org/films/the-sandlot/. June 18 – July 20 – Engineering For Kids STEAM Summer Camps at the Tapp’s Art Center. Here are some great camps for those kids who are interested in engineering with camps for kids from ages 4 to 14. For more information call (803) 988-0013 or visit https://www.tappsartscenter.com/events/list/?tribe_paged=2&tribe_event_display=list. June 19 – “Grace Jones: Bloodlight and Bami” at the Nickelodeon Theater. This documentary will showcase the “electrifying journey” of this talented artist. For more information call (803) 254-8234 or visit http://nickelodeon.org/films/grace-jones-bloodlight-and-bami/.